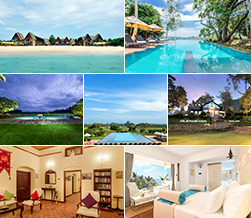 Strategically placed in the heart of the Cultural Triangle in the Sigiriya area, Aliya Resort & Spa is the perfect location to plan your excursions from. Things to do in Sigiriya are many. 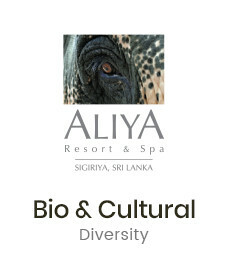 Aliya Resort & Spa is one of the most ideally located hotels in Sigiriya Sri Lanka to allow you all these marvellous exploration options upon a platter. Those looking to relax can spend the day cycling to a nearby Sigiriya Village or enjoying a laze around the pool. If you are searching for a more strenuous adventure, you can climb the Lion Rock, ‘Sigiriya’, which is a site of beauty aesthetics and exceptional panoramic helicopter-views. There is also the beautiful and sacred Pidurangala Rock Temple nearby. The perfect end to an adventure filled day would be a relaxing massage or spa treatment at ‘Ayur Vie’.